WELL-EDUCATED AND hailing from wealthy families, the gunmen who killed 20 hostages in a Bangladesh cafe defy the increasingly outdated stereotype of jihadists from poor backgrounds who have been radicalised in madrassas. Six young men were shot dead last week at the end of the all-night siege in a Dhaka cafe claimed by the Islamic State group. One may have been an innocent bystander, but among the remaining five are a graduate of Bangladesh’s leading private university, an 18-year-old student at an elite school and the son of a ruling party official. As jihadist groups such as IS focus their recruitment efforts on disenfranchised middle class youth, government efforts to eradicate extremism become ever more complicated. 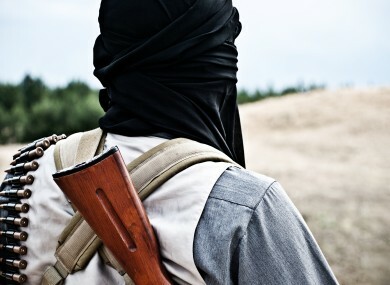 While the Bangladesh government has continued to deny IS has a foothold in the country, the group claimed the attack and its associated news agency, Amaq, posted pictures of the five gunmen posing with weapons. Similarly in militancy-ravaged Pakistan, the government denies that the international jihadist network has a formal presence in the country. But a Pakistani security official recently told AFP that authorities had busted several IS recruitment cells focused on a similar affluent demographic. Taj Hashmi, a Bangladeshi who teaches security studies at the Austin Peay State University in the United States, pointed out that many of the Saudi hijackers behind the September 11 attacks were also from wealthy families. But he says that middle-class youth have been providing Islamist terror groups with footsoldiers since long before the emergence of IS. Marginalised and angry people from the higher echelons of society have been swelling the ranks of Islamist terrorists for the last 30-odd years. Bangladeshi authorities have so far only released code names of the cafe assailants after interrogating a gunman who was captured alive, but they have released photos of their bloodied corpses. Friends of one confirmed his identity as 22-year-old Nibras Islam who had been studying at the Malaysian campus of Australia’s Monash University before going missing in January. A school friend remembered him as popular pupil. “He was a good athlete whom everyone admired,” the friend told AFP on condition of anonymity. After leaving school, Nibras went to North South University (NSU), a private university which came to prominence when one former student tried to bomb the Federal Reserve Bank in New York in 2012. In early 2013, seven NSU students hacked atheist blogger Ahmed Rajib Haider to death, kickstarting a campaign of murders of secular activists. At their subsequent trial, prosecutors said the students had been radicalised through the Internet. Another of the cafe attackers was identified by multiple sources as Mir Saameh Mubasheer, who was due to sit his A-levels at Scholastica, an elite English language school, but disappeared in February. His father Mir Hayat Kabir told the Prothom Alo daily that he had feared his son, who was 18, had been brainwashed. “I felt in my heart that he was under someone’s spell. We were good parents yet they took him away from our home,” he said. Yet another of the attackers was identified as Rohan Imtiaz who also reportedly studied at Monash in Malaysia after leaving Scholastica where his mother teaches. His father, Imtiaz Khan Babul, is a former youth affairs secretary of the Dhaka wing of the ruling Awami League. He filed a missing person’s report for his son in January. Monash said it was aware of reports that some of the killers had studied in Malaysia but added in a statement that it “has not received, nor seen, any official confirmation” of the identities. Only one of the five attended a madrassa, the son of a labourer who has been named as Khairul Islam Payel. Some analysts attribute the rise in extremism in the South Asia region to the preachings of radical Saudi-trained clerics in madrassas, religious seminaries that are often the only way for poorer families to give their children an education. Many so-called experts of Bangladesh have been writing and blaming only madrassas for terrorism. Email “Bangladeshi rich kids are defying the jihadist stereotype”. Feedback on “Bangladeshi rich kids are defying the jihadist stereotype”.